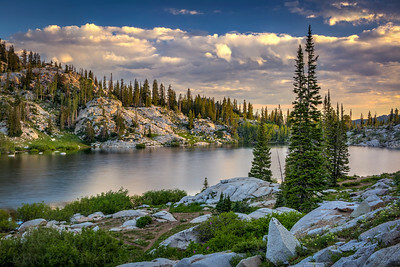 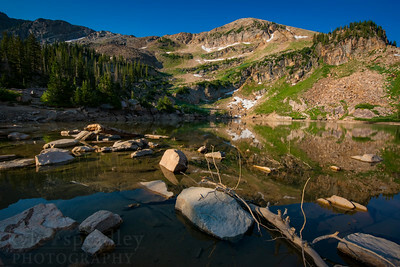 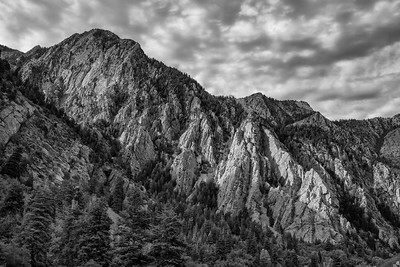 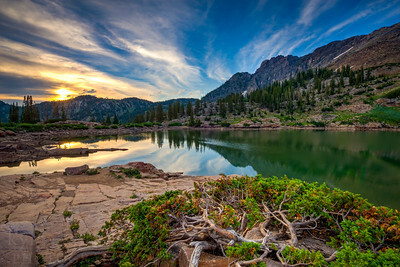 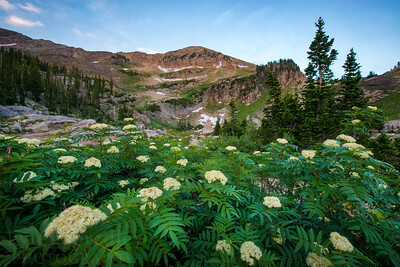 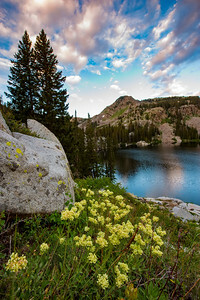 Sunrise at Cecret Lake (pronounced Secret) located high in the Wasatch Range on the grounds of Alta Ski Resort. 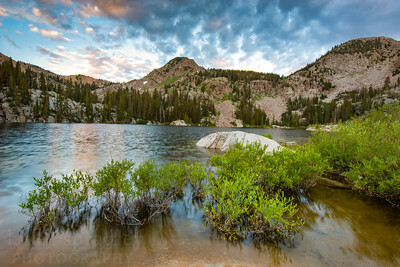 The small alpine lake in Alboin Basin is considered a watershed area which supplies drinking water for the greater Salt Lake area. 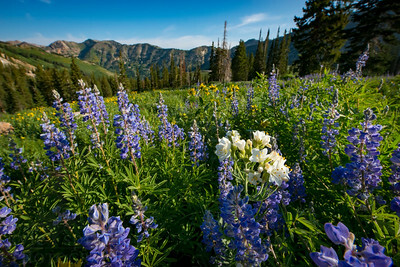 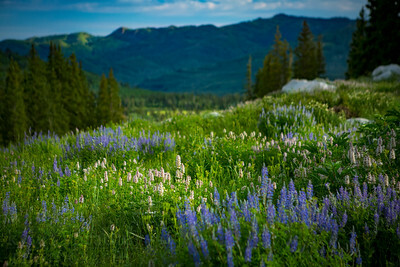 In the summer it's banks become awash with color from wildflowers in bloom.